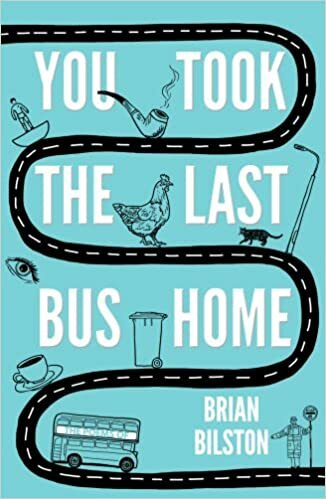 Just had an email from my good friend Ruby Veridiano at LitWorld to bring to my attention World Read Aloud Day on 9 March. Anyone who has attended any of my recent CPD sessions for teachers will be aware of what a fan I am of reading aloud to develop literacy skills, and when allied to such an excellent mission to spread global literacy, everybody wins. I’ll let LitWorld’s press release speak for itself and urge you to do whatever you can to register on the website and get involved. New York, NY (January 12, 2011) – LitWorld, a Global Literacy Organization, presents World Read Aloud Day, an international celebration that motivates children, teens, and adults worldwide to celebrate the power of words and stories. LitWorld has designated March 9th, 2011, as the official World Read Aloud Day, encouraging participants from all over the world to participate in a global movement to advocate for every child’s right to literacy, safe education, and access to books and technology. “Education, and literacy especially, are the human rights issues of our time. We all must work as hard as we can to make sure that children have the right to go to school and to learn to read and write so their stories are part of the fabric of the world as we know it,” says Pam Allyn, Executive Director of LitWorld. With nearly 1 billion people entering the 21st century unable to read a book or sign their name, LitWorld believes that literacy is an imperative tool for survival. World Read Aloud Day brings awareness to the fact that millions of people all over the world could be lifted out of poverty if given the ability to read and write. It is a day where people all over the world can take part in the movement for global literacy. Though LitWorld is based in New York City, participants of World Read Aloud Day do not need to be in the same city to take part in the occasion. World Read Aloud Day is a series of events and happenings across the world that will occur both online and in person, allowing for multiple ways to participate. Whether you are a teacher, student, blogger, or simply an avid reader, one can join in on this day by hosting a World Read Aloud Day event, or by taking the time to read aloud to a classroom or a single person. Participants are encouraged to use social media outlets like Facebook and Twitter to show their support, and linking their posts to LitWorld’s social media accounts and website, and to ask yourselves and others the question: What would you miss most if you could not read or write? LitWorld’s global platform has created an imperative need for technology and social media to execute the organization’s work in connecting with partners, educators, and students all over the world, and the World Read Aloud Day event further encourages the use of these tools to take part. 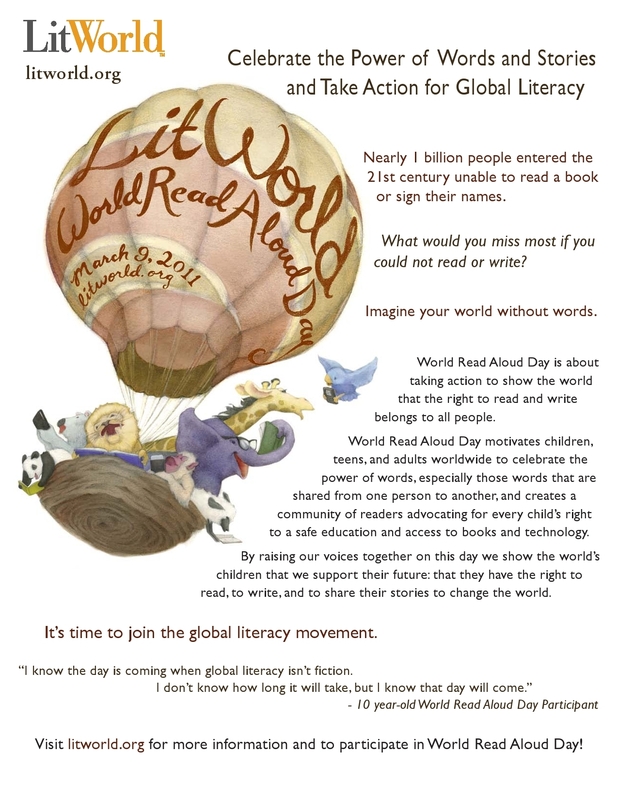 LitWorld will be recruiting World Read Aloud Day ambassadors and participants from different parts of the world, and has so far gathered a national ambassador list that spans from San Francisco to Chicago to Vermont. Prospective ambassadors are encouraged to visit the LitWorld website to view ideas on how to host a World Read Aloud Day event. Interrupting the Highland tour to bring you a flavour of Burns’ Day. 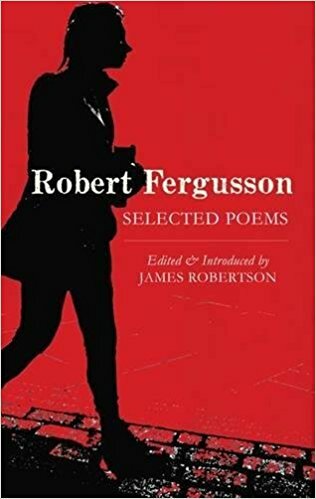 I was annotating some Burns poems for the BBC Bitesize website over the Christmas and New Year holiday, and thinking about a guest blogpost I had been asked to write for their Learning Blog. Hogmanay was a still, quietly eerie day in Alloway when I went for a walk, following parts of Tam O’Shanter’s famous and fateful ride, and the most bizarre thing happened. I decided to tell it in verse, given what was going round in my head at the time. So here it is, with apologies to Rabbie! Or if you prefer to listen click on the title below! 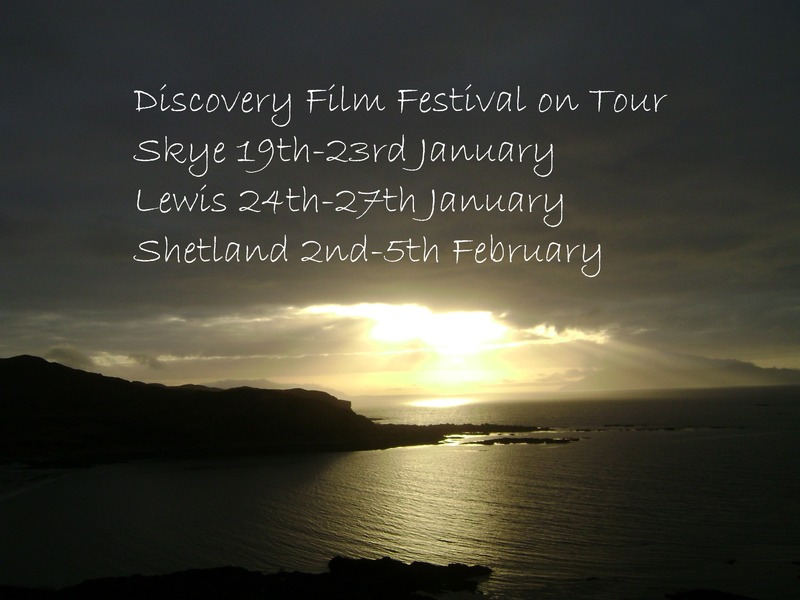 The Literacy Adviser is currently on tour to Skye, Lewis and Shetland with the Discovery Film Festival road show. We are screening some fantastic short films from around the world for young audiences, as well as public screenings for all ages, and tailored CPD sessions for primary and secondary teachers at each of the venues. 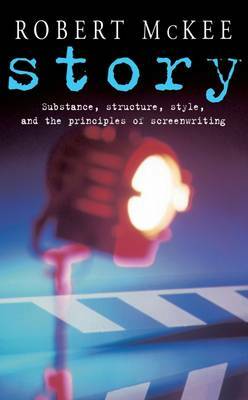 The venture is aimed at raising awareness of the range of short films available (emphasis on SHORT which is the key to using films successfully), and demonstrating the ways in which film texts can be used in the classroom to develop literacy skills using a medium which is familiar and engaging. 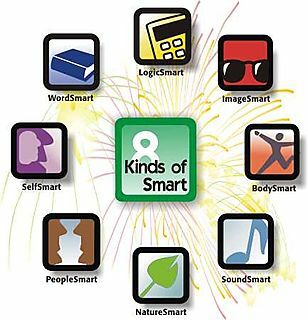 On a slightly different but related note, plans are well under way to include moving image texts in the Scottish Survey of Literacy and Numeracy from 2012. I have been working with the assessment team at SQA and a great bunch of highly committed teachers on that front and I hope to be blogging about it very soon. Watch this space! 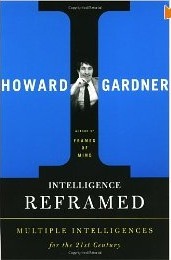 One of my favourite modern-day educational thinkers is Howard Gardner, whose Theory of Multiple Intelligences changed the approach of many teachers in the last decade or so of the twentieth century. 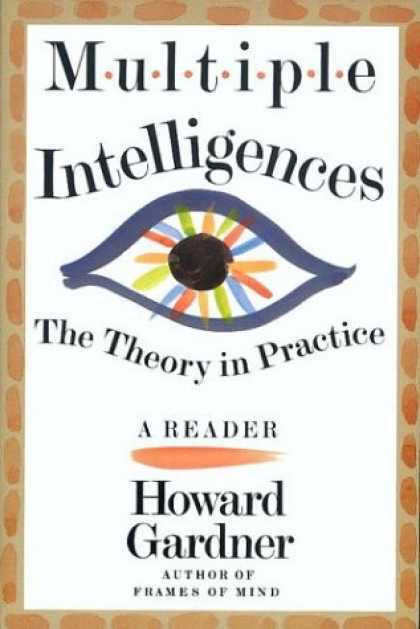 The notion that instead of asking ‘how smart are you?’ we should be asking ‘how are you smart?’ arrived, for me, like a bolt of lightning, simultaneously lighting up the way forward for learning, teaching, schools and education, and blowing away the myth that the only way to learn was by reading from a book or listening to an expert, and that the only way to prove your learning was through a written test. 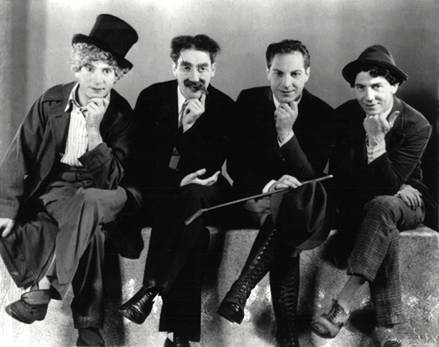 In 2010, there were 32 new posts, growing the total archive of this blog to 107 posts. There were 158 pictures uploaded, taking up a total of 981mb. That’s about 3 pictures per week. The busiest day of the year was May 17th with 293 views. The most popular post that day was Sticking to the Plot. The top referring sites in 2010 were twitter.com, edu.blogs.com, bbc.co.uk, google.co.uk, and edte.ch. Some visitors came searching, mostly for romeo and juliet, romeo and juliet pictures, back to the future, lord of the rings, and jaws.